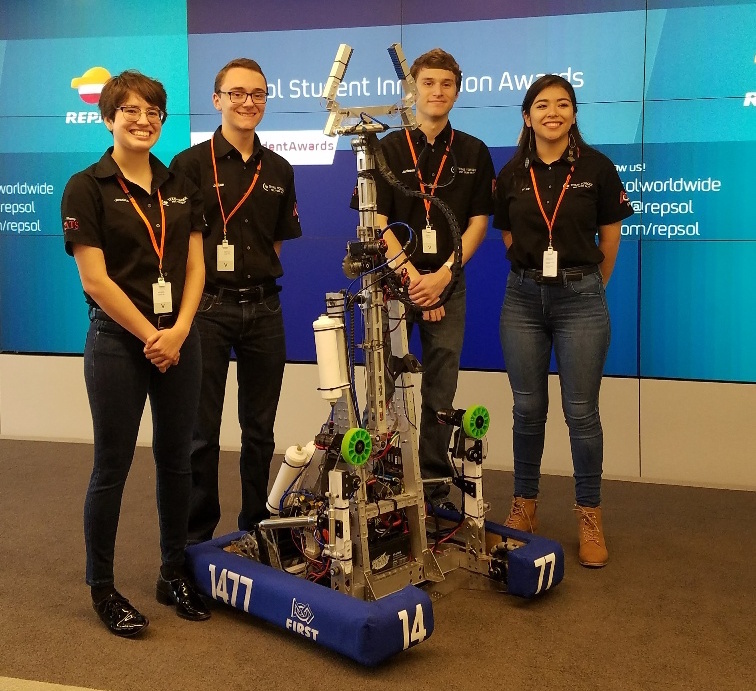 This past weekend, the students, and mentors of Texas Torque traveled to West Palm Beach, Florida, to compete for our week 5 competition, South Florida Regional. Texas Torque competed in 10 hard fought qualification matches, which resulted us in the rank 34 position. 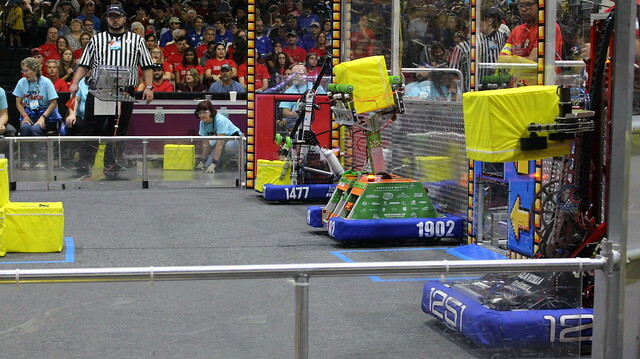 By gracious decisions of the alliance captain 1251, Tech-Tiger Robotics, and their first pick 1902, Exploding Bacon, we were able to join their alliance to compete as the 7th seed alliance. After 3 hard fought quarter-final matches, we were able to advance to semi finals, where we have been knocked off by the 6th seed alliance, team 1744, 2383, and 3164. Although some issues came along, the drive team did the best they could do to win the match. Congratulations on regional finalists to the 6th seed alliance, and the 1st seed alliance, 179, 180, and 1369 for their regional win. 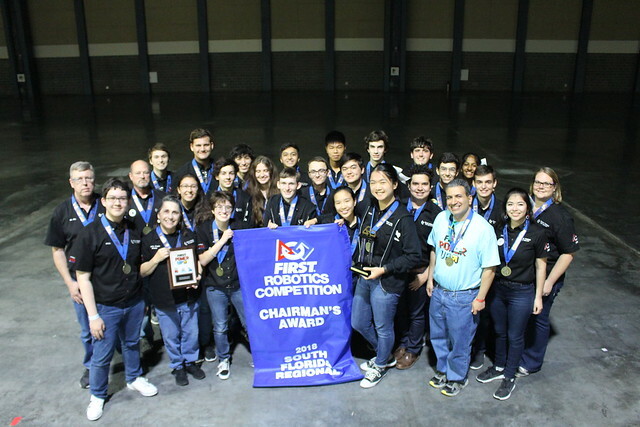 Good news for the team came along during the awards ceremony, when Texas Torque was selected as the Chairman’s Award winner! This is our 4th Chairman’s Award in five years, which continues the three-year streak of winning Chairman’s Award. You can watch our 2018 Chairman’s Video here. 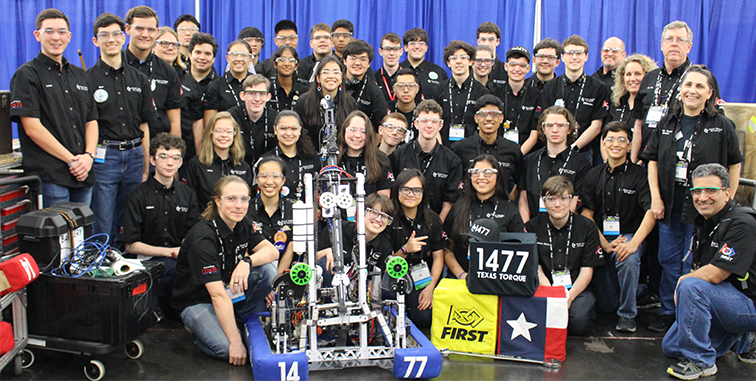 In two weeks, Texas Torque will be competing in the 2018 Houston FIRST Championship. As we prepare for the event, follow us on Twitter, Facebook, or The Blue Alliance for updates on our progress.